With nearly 1,000 recognised franchises in the UK, franchising is a well established expansion model for company's looking to expand, whether in the UK or Internationally. The team at Business Options has over 20 year's experience in the world of franchising, as both consultants and as franchisors. We are in the unique position of being able to create franchise models that work in practice and understand the operational factors involved in managing networks of franchisees. Franchising is a method that allows companies to expand without large capital outlay. The franchisor (you) grants a licence to a franchisee giving them the right to operate a business under your name, using your operating systems, methodologies and know how, for a set period of time. In return the franchisor normally receives an initial licence fee that covers your costs associated with franchising the business, and an ongoing royalty / management services fee. Assesses the viability of franchising your business and creates the detailed Franchise Model which all of the other phases of your franchise development refers to. Creates the systems, processes and documentation required to successfully manage and run your franchise network. Creates your franchise recruitment strategy and the supporting franchise recruitment material required within the franchise recruitment process. 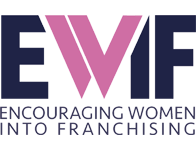 Provides ongoing support and guidance once you have recruited franchisees including recruitment and training of your Head Office franchise support staff. Provides advice on how to sell your franchise business as well as advice to franchisees within your network looking to sell. Business Options provides a complete range of services covering all the 5 Phases of Franchising ™. 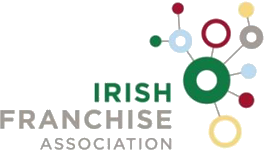 As a specialist franchise consultancy accredited by both the British Franchise Association and the Irish Franchise Association, we have the skills and experience to develop successful franchise businesses. At Business Options we understand that each and every business is unique and therefore we do not shoe horn your business into a predetermined franchise model. All our services are uniquely tailored to meet and fit the individuality of each business we work with. 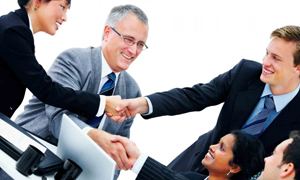 At Business Options we understand that not all businesses have the same requirements. Therefore, to reflect the individual nature of our clients' needs we offer the Business Options Flexible Service Package. This allows the client to choose which services they would like Business Options to be involved with and which elements they would like to do themselves. This ensures that the client is only contracted for the service they want, when they want it and pay only for the services they need. Where clients wish Business Options to undertake large parts or all of their franchise development, we offer the Business Options "Discounted - Total Franchise Package".